The Firm is unparalleled in its ability to exact tangible corporate governance changes to prevent future misconduct. Maureen Mueller is a partner in Robbins Geller Rudman & Dowd LLP’s Boca Raton office, where her practice focuses on complex securities litigation. Maureen has helped recover more than $3 billion for investors. She was a member of the Firm’s trial team in Jaffe v. Household Int’l, Inc., No. 02-C-05893 (N.D. Ill.), a securities class action that obtained a record-breaking $1.575 billion settlement after 14 years of litigation, including a six-week jury trial in 2009 that resulted in a verdict for plaintiffs. She was also a member of the team of attorneys responsible for recovering a record-breaking $925 million for investors in the UnitedHealth litigation, In re UnitedHealth Grp. Inc. PSLRA Litig., No. 06-CV-1216 (JMR/FLN) (D. Minn.), and served as co-lead counsel in In re Wachovia Preferred Securities and Bond/Notes Litig., No. 09 Civ. 6351 (RJS) (S.D.N.Y. ), which recovered $627 million. More recently, Maureen was part of the litigation team that secured a $64 million recovery for shareholders of Dana Corp. in Plumbers & Pipefitters National Pension Fund v. Burns, No. 3:05-cv-07393-JGC (N.D. Ohio), in which the Firm’s Appellate Practice Group successfully appealed to the Sixth Circuit Court of Appeals twice, reversing the district court’s dismissal of the action. She was also a member of the team of attorneys that recovered $13 million in Burges v. BancorpSouth, Inc., No. 3:14-cv-01564 (M.D. Tenn.), and represented investors in Knurr v. Orbital ATK, Inc., No. 1:16-cv-01031-TSE-MSN (E.D. Va.), in which the district court has preliminarily approved a $108 million settlement. Maureen was also a member of the team of attorneys that secured a historic recovery on behalf of Trump University students in two class actions against President Donald J. Trump. The settlement provided $25 million to approximately 7,000 class members for over 90% of their losses. She represented the class on a pro bono basis. Maureen has been named to Benchmark Litigation’s Top Litigator Under 40 list, was named a Top Women Lawyer by the Daily Journal, a Next Generation Lawyer and a Recommended Lawyer by The Legal 500, has been a Super Lawyer “Rising Star” for the past three consecutive years and was named an Outstanding Young Attorney by the San Diego Daily Transcript. Maureen received her Bachelor of Science degree in Business Administration from Trinity University, where she captained the women’s soccer team. She received her Juris Doctor degree from the University of San Diego School of Law. During law school, she served as Lead Articles Editor of the San Diego Law Review and worked as a law clerk for the Firm’s San Diego office. 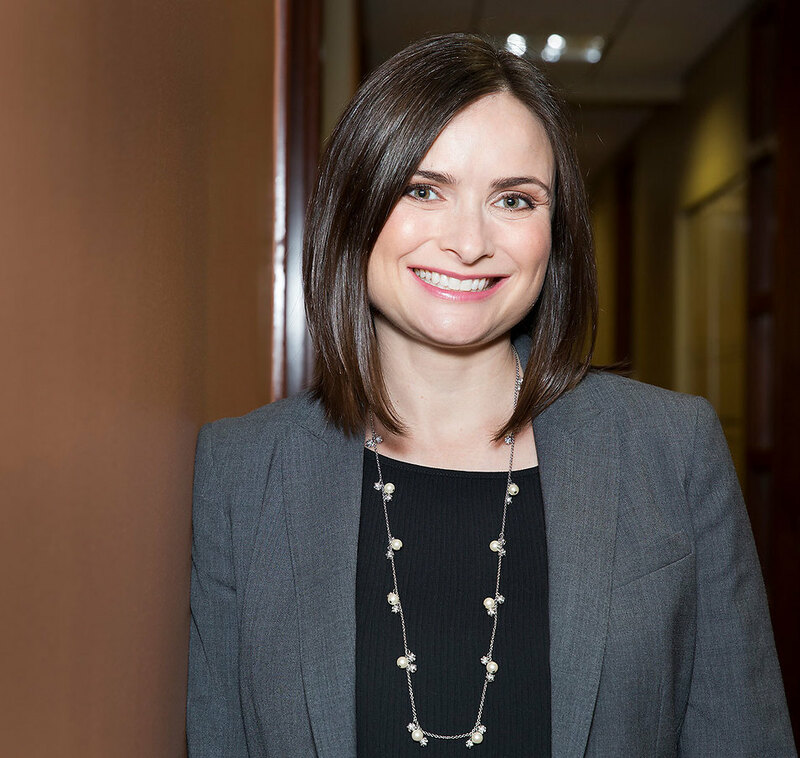 Maureen joined Robbins Geller as an associate after law school. In re UnitedHealth Grp. Inc. PSLRA Litig. In re Wachovia Preferred Securities and Bond/Notes Litig. Jaffe v. Household Int’l, Inc.
Robbins Geller Rudman & Dowd LLP Obtains $2.46 Billion Judgment Against Household International, Now HSBC Finance Corp.